When used thoughtfully and appropriately, typography is a powerful brand tool. In addition to the official master brand fonts, the School of Business sub-brand uses a few display typefaces. 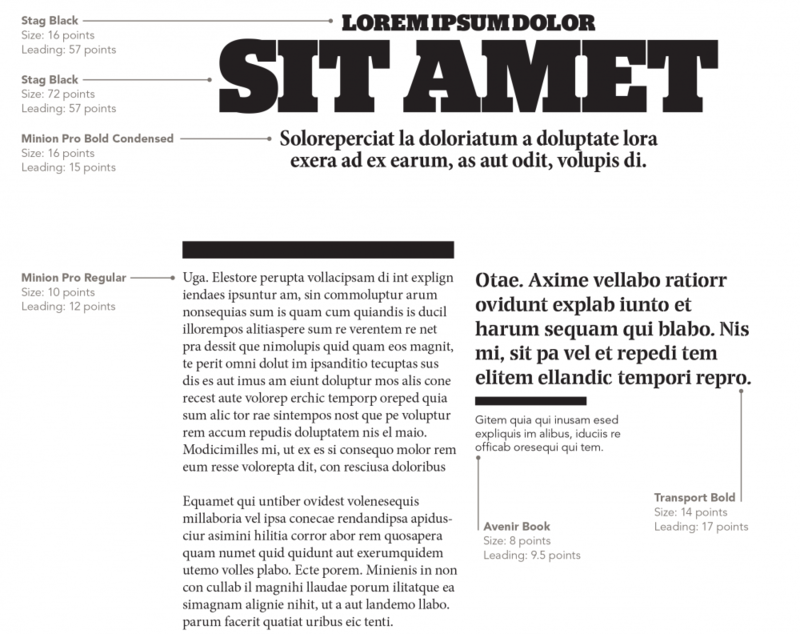 Use these display fonts in large headlines and to add typographic accents to a layout when needed. Never use the display fonts for body copy or type smaller than 14 points. For more detailed information about brand typography, visit identitystandards.wfu.edu. The primary serif typeface for Wake Forest University is Minion Pro. 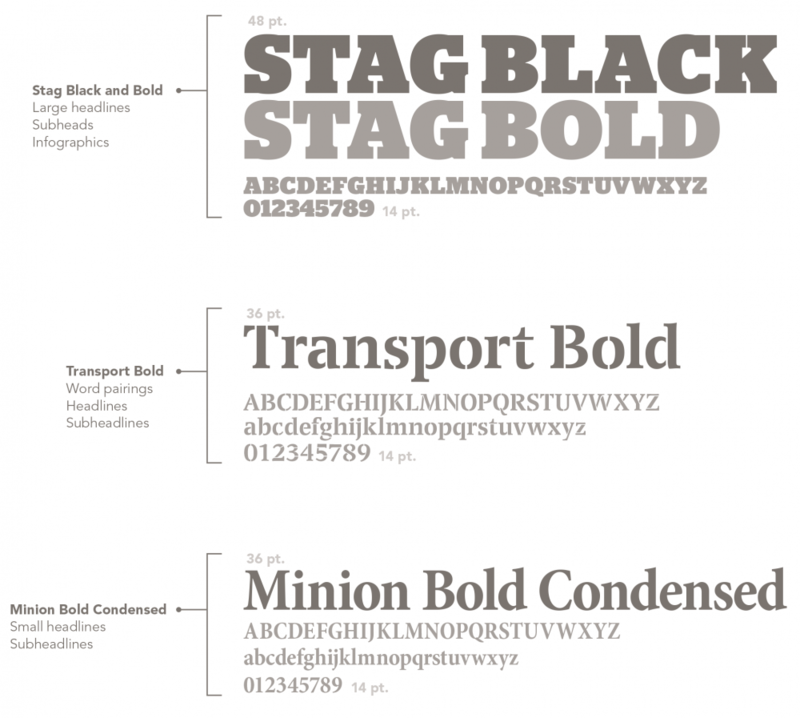 It is available in four weights (Regular, Medium, Semibold and Bold). Minion Pro is a typeface inspired by the classic fonts of the late Renaissance. It combines the heritage of late baroque letterforms with a modern text format. A clean, readable font, Minion Pro exhibits warmth and balance, and is suitable for nearly any use. Minion Pro may be used for cover titles, initial caps, large text, subheads, quotes and body copy. This font is an Adobe font in the OpenType® format for use on both Windows- and Macintosh- based computers. Each weight can accommodate small capitals. The primary sans serif typeface for Wake Forest University is Avenir. It is available in six weights. Avenir, which means “future” in French, incorporates the stylistic developments of the twentieth century. It conveys the balance, simplicity and strength of our University. Highly legible and nuanced, Avenir has a harmonious and sensible appearance in text and is suitable for any size typography. This font is an Adobe font in the OpenType® format for use on both Windows- and Macintosh- based computers. System fonts should be used only when Wake Forest University primary serif and sans serif typefaces are not available. Times New Roman is the serif typeface that may be used when Minion Pro is not available, such as for Web usage. Arial is the sans serif typeface that may be used when Avenir is not available, such as for Web usage. These versatile, legible fonts are used throughout the world and are standard fonts on most computers. If you have external designers, additional fonts to use are Stag Black and Bold, Transport Bold, and Minion Bold Condensed. Use this example as a starting point for creating proper hierarchy and style within a layout.